Interstellar is hitting theaters next week, and while you’re probably going with the intention of seeing Christopher Nolan’s next brain-numbing display of visual effects and epic storytelling, there’s a bigger opportunity at play here. One in which you might be able to play the role of Matthew McConaughey’s Cooper in real life. You might be able to go to space! In what I’ll assume is the most amazing movie contest ever, Paramount Pictures is teaming with Fandango, XCOR Aerospace, and Motherboard to give Interstellar viewers the chance to go into space, as well as receive a solid payday. 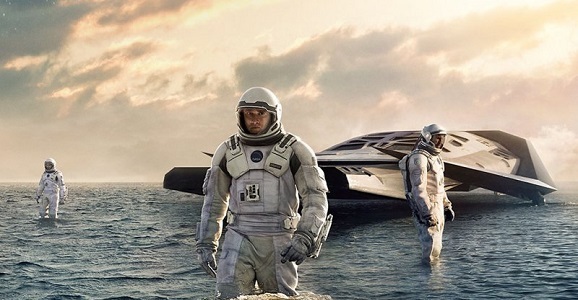 All you need to do to enter is purchase your ticket for Interstellar through Fandango and you’re automatically entered. But if you’d prefer to handle things without buying tickets, you can just fill out an application for it. If I’m the person in charge, though, I’m automatically excluding anyone who takes “No Purchase Necessary” as gospel. So what’s the actual prize? The grand prize winner will receive a chance to ride aboard the XCOR LYNX Mark II for a trip up into…space? I’m not quite sure if this will be a joyride or just a quick up and down. (It’ll reach an altitude of approximately 62 miles.) The winner will have to actually go through physical exams and some classes to make sure he or she actually knows what’s happening. Plus, they get $50,000 on the side. The craft is currently being assembled, and the trip is planned for a to-be-determined point in 2017. The small print for this thing is ridiculous. Alternatively, those who don’t want to take the coolest trip a civilian can take have the option of just choosing a flat $75,000 prize. BORING! I’d spend all that before the spaceflight would even happen. I can’t wait! Whether you make it up into space or not, just be damned sure you buy a ticket for Interstellar, which hits theaters everywhere on Friday, November 7, with some theaters getting it on Wednesday, November 5.